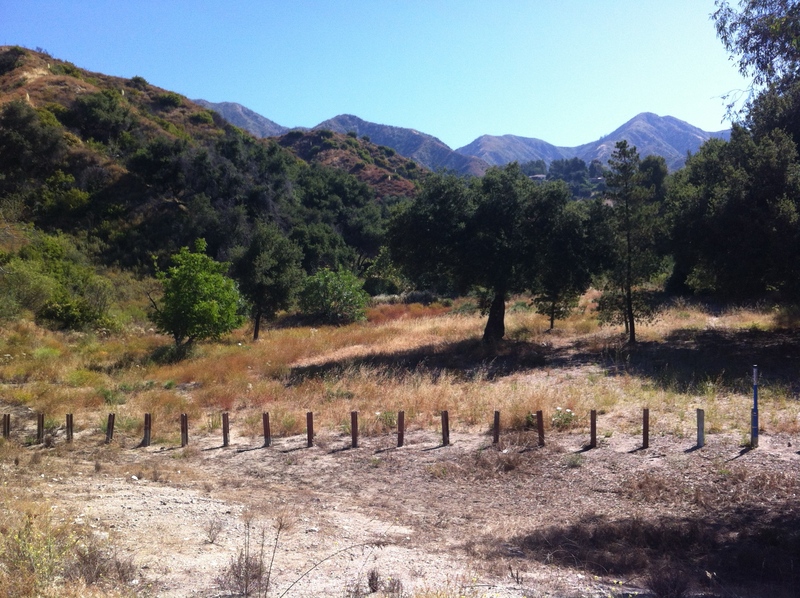 Saturday was a good day in La Crescenta, Calif., at least for those who care about open space in our congested Los Angeles basin. 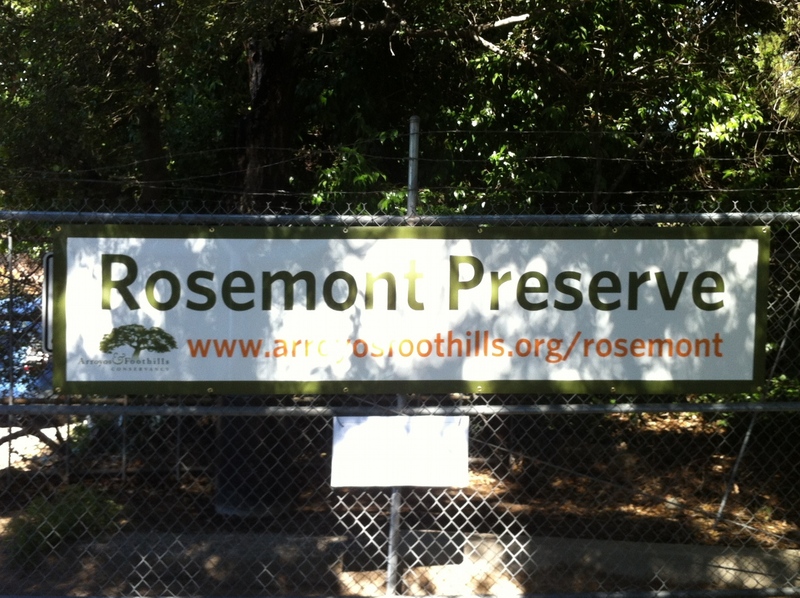 The Arroyos & Foothills Conservancy officially opened its latest acquisition, the 7.75-acre Rosemont Preserve. The land is situated behind a gate at the mouth of Goss Canyon, which is then backed by an additional 300 acres maintained, according to conservancy press materials, as mostly wilderness over the decades by private landowners. The gate will remain locked to control access to the property. Scheduled to appear during the fete was L.A. County Supervisor Michael Antonovich, who spearheaded $350,000 in grant money to acquire the now-protected acreage. Donors made up the additional $100,000, which included contributions of $250 from assembly members Mike Gatto (D-43rd district) and $500 from Anthony Portatino (D-44th district). According to Gatto’s office, he also helped to raise $10,000 toward the purchase. The sale price of $450,000 was under market value. The real estate site Zillow estimates one home situated on over two acres at the top of Rosemont Avenue at about $883,000. Preserving the land secures habitat for a range of wildlife, including mule deer, mountain lions, bobcats, bears, coyotes and Arroyo toads, as well as at least 31 bird species, according to the conservancy. Although it is a win for the area’s wildlife and for groups, most likely school children and volunteers who can access the property through the conservancy, the location remains problematic, at least for neighbors who fear for their serenity because of the newly acquired access. Indeed,while early guests arrived, one resident whose home is next to the gate asked for reassurance from John Howell, executive director and general counsel. “They are understandably concerned. It’s been shut off forever. They are concerned about just opening the gates, having it be an open space. It’s not, it will be controlled access,” he said during an interview earlier in the week. “But probably more telling, more significant than that in terms of having it be controlled access is that there’s a neighbor to the north who owns 212 acres. Apparently, neighbors had a hand in nixing another plan for the property, to turn it into a school in 2005. The owners of La Canada Preparatory then eventually sold to A&FC during negotiations that first began in 2007. The next steps for the conservancy, the neighbors and property owners in the area will be about public access. What a great achievement. Thanks to all who did so much, and thanks to you for this report.